Wet and dirty conditions are spread among a large variety of industrial segments. In these segments there are different applications where water, humidity, process liquids or dirt have direct or indirect access to the lubricant and components. Such conditions can damage components as well as greatly reduce the effectiveness and performance life of the chosen lubricant. An appropriate lubricant can aid these challenges by providing good sealant properties and resistance to liquids. Cranes, hatches, pin/bushings, saw chains, winches, wire ropes, etc. 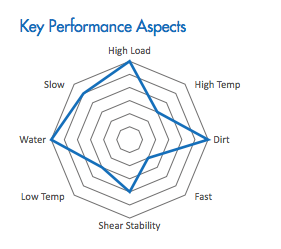 Are Your Customers Dealing with Challenging Wet and Dirty Conditions? 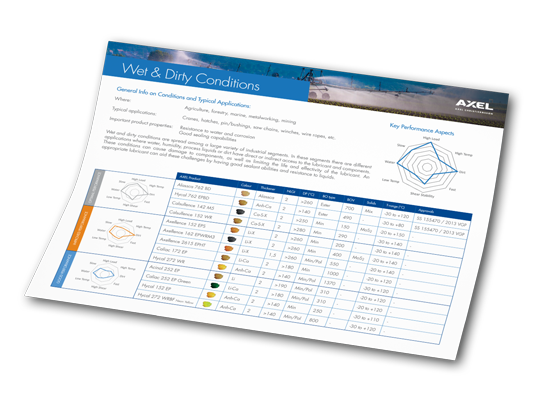 Download our Wet & Dirty Conditions Mat and learn more about a whole range of technologies and products (good, improved and optimal performance) you can start offering your customers today.